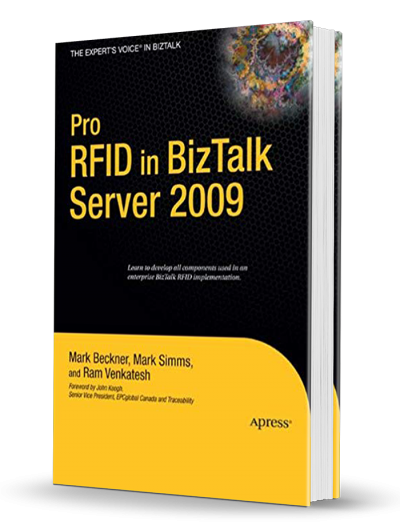 Pro RFID in BizTalk Server 2009 offers extensive code and configuration examples and case studies illustrating how BizTalk RFID is being used in various industries. BizTalk RFID is an application built to distribute, track, analyze, and provide visibility into enterprise data collected using RFID technologies. Ideal for: Solution architects, application developers, and IT administrators involved in developing Microsoft BizTalk RFID solutions. The topics in this book include building complete inbound and outbound solutions for 810, 844, 845, and 850 EDI document types. Covering mapping, architectural patterns, orchestrations, trading partner configurations, AS2, SFTP, FTP, usage of role links, batching, and data routing, you will find that BizTalk 2010 EDI for Supply Chain Management gives you the detail and knowledge needed for success with your own implementations. Ideal for:BizTalk 2010 Developers, technical architects, and executives of manufacturing or supply companies looking to implement BizTalk or EDI.